Digital printing pressMore orders. More offer. At Xerox, we know that "more" means a lot for your business and makes the difference. Cost savings. Increase in sales. Productivity. Therefore every company wants to realize more orders. How to define this "more" for you is entirely up to you. 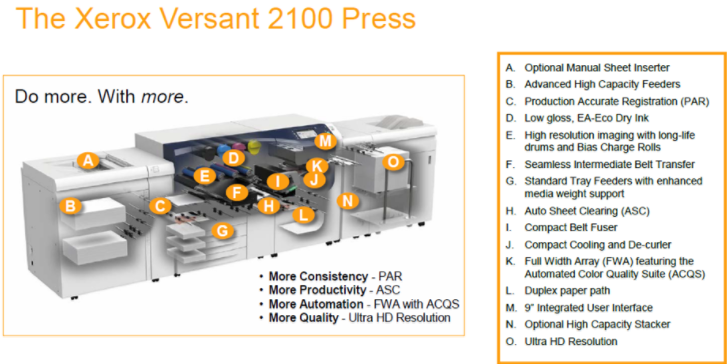 But how you achieve it remains the same: the Xerox Versant 2100 printing system. Rated speed: 100 pages / min. The file includes the Maintenance Release software file as well as Install instructions and the Release Notes. Windows Print Driver for Xerox EX 2100 Print Server and EX-P 2100 Print Server powered by Fiery for the Xerox Versant 2100 Press. Supports both Windows 32-bit and 64-bit. Note: If any EX/EX-P 2100 driver has been installed previously, please use the Fiery_Printer_Delete_Utility provided on the User Software DVD to uninstall the previously installed Fiery driver and reboot the client system after the driver has been uninstalled. After any previous EX/EX-P 2100 drivers are uninstalled, unzip the FIT100501753_Win_Driver.zip file on to your desktop. Double-click on “prntdrv.exe” from the unzipped folder. Click on the Install button and follow the instructions in the wizard to install the driver. 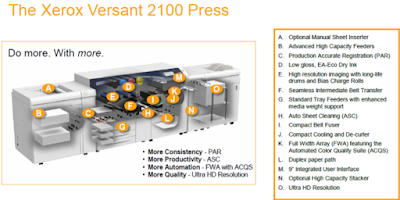 Windows Print Driver for EX 2100 v1.2 or EX-P 2100 v1.2. Supports both Windows 32-bit and 64-bit. This driver is for Fiery v1.2 software and adds support for the GBC AdvancedPunch Pro. Updated version 10 Dec 2015 to support changes with EFI patch FIT101175146. Note: If any EX/EX-P 2100 driver has been installed previously, please use the Fiery_Printer_Delete_Utility provided on the User Software DVD to uninstall the previously installed Fiery driver and reboot the client system after the driver has been uninstalled. Extract this print driver into a directory on your computer. Double click on the prntdrv.exe file or use the “Add Printer Wizard” to install.